Let’s ease into the week talking about something meaningful. Otherwise known as the cake that is acceptable to eat for breakfast. That’s pretty much heaven on earth, right? 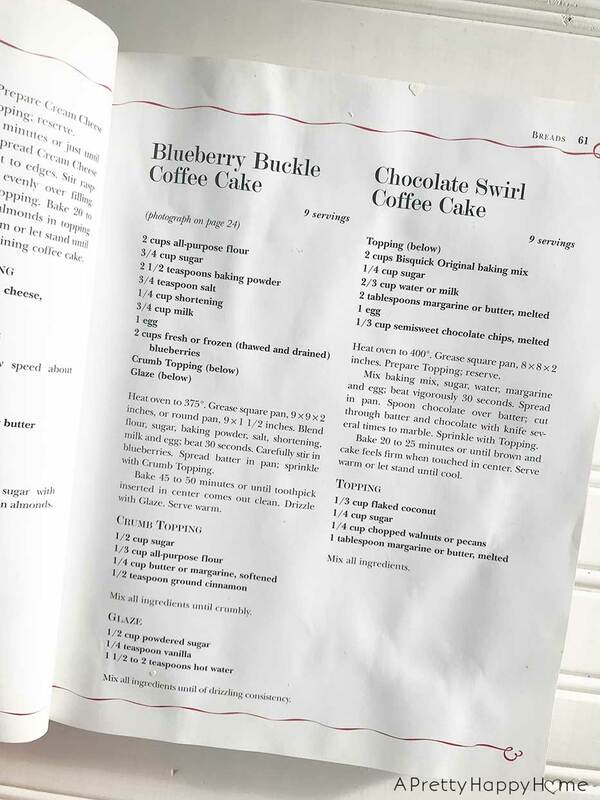 This Blueberry Buckle Coffee Cake recipe came out of one of the three cookbooks that I own. Two of the cookbooks are out of print. All three cookbooks were gifts. Clearly, I am not a collector of cookbooks, but I’ve kept these three because I actually use them. Not as often as I use online recipe sites though. I equate it to trying out the newest exercise fad – ThighMaster, Tae Bo, pole dancing classes. But then always coming back to your old standbys sweatpants on the couch walking, running, cycling. For the record, I have never tried pole dancing. The cookbook, in this terrible analogy, is the old standby. There’s something refreshing about looking through a cookbook and not being distracted by all the reviews and adjustments people made to a recipe. You know what is helpful? A bunch of creases, drips and smudges on the page to remind me I’ve made this recipe before. Or better yet? That my grandma made a certain recipe. One of my cookbooks is hers. Don’t judge. I know you’ve dripped on your cookbook too. When the pages of my cookbook fell open to this recipe and I saw the caked-on flour bits, I knew I had to make Blueberry Buckle Coffee Cake again. 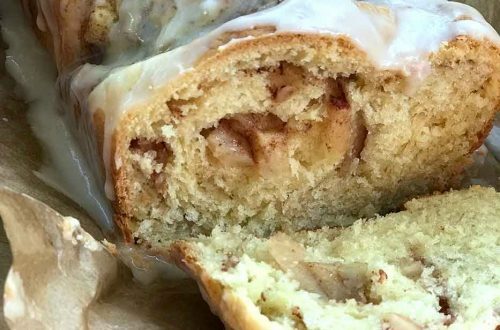 Have you ever wondered what a buckle recipe is? Yeah, me neither. Who says intellectual curiosity is dead? 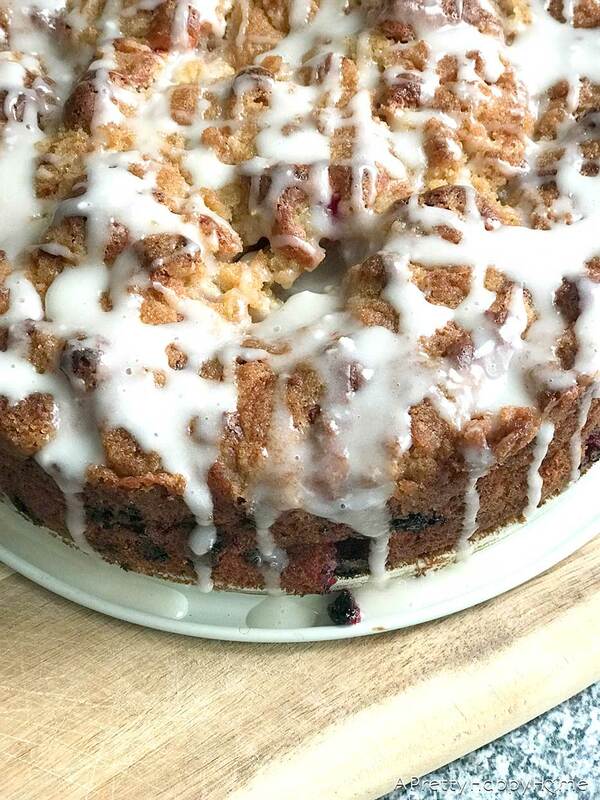 A buckle refers to a moist cake recipe, usually made with blueberries, that has a streusel topping. 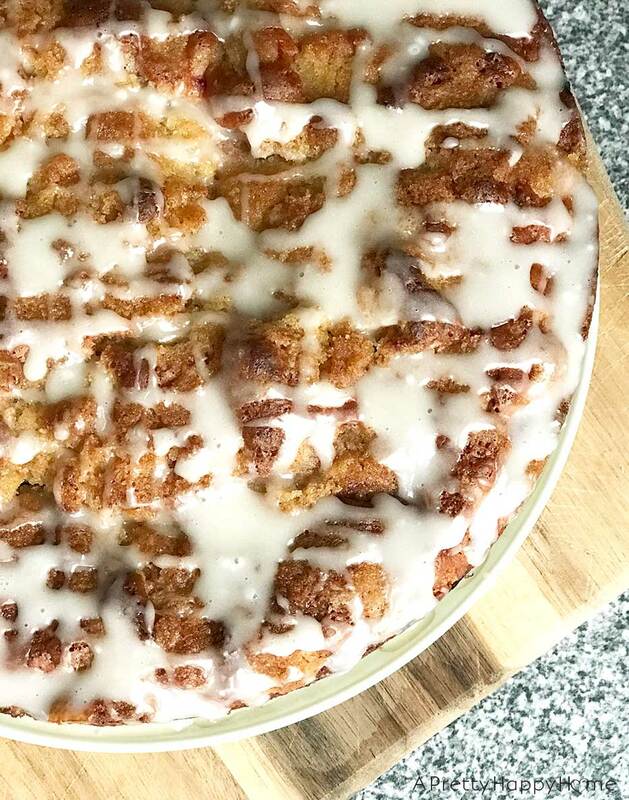 The streusel will cause the top of the cake to look like it has buckled while baking. By the way, why aren’t there any good baking synonyms for the word moist? Also known as one of my least favorite words. 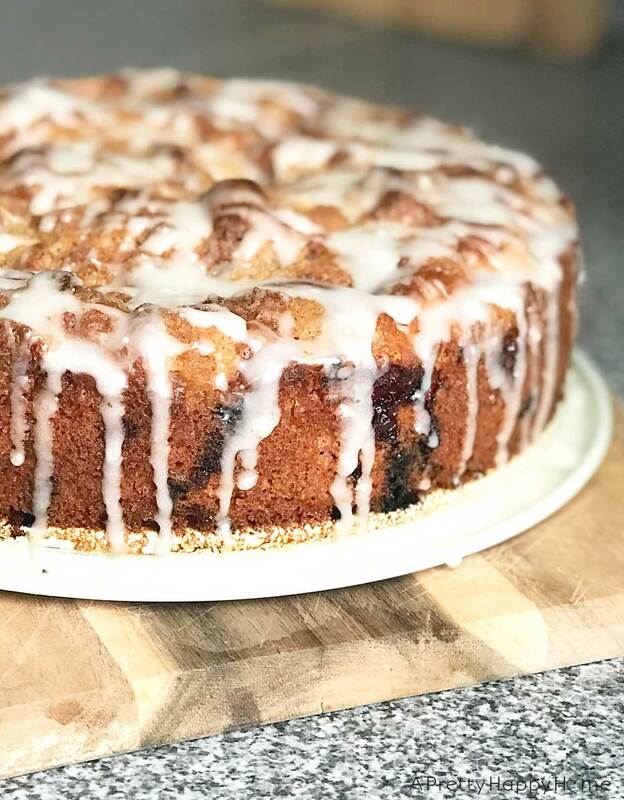 In my experience, these type of coffee cake recipes also lend themselves well to using blackberries, red or black currants, and huckleberries. This Blueberry Buckle Coffee Cake reminded me, in general terms, how much better coffee cake is than regular cake. Go ahead, feel free to debate me on this topic. I am so happy I made this recipe again! I just wish it had lasted longer than 48 hours before it was gone. P.S. This recipe can be found on the Betty Crocker website, but now they call it Blueberry Best Coffee Cake. Why’d they drop the buckle?